Image Comics have announced they will be reprinting the entire series of Walking Dead starting in January. The best news is they will be released weekly so you only have to wait 168 hours between issues. 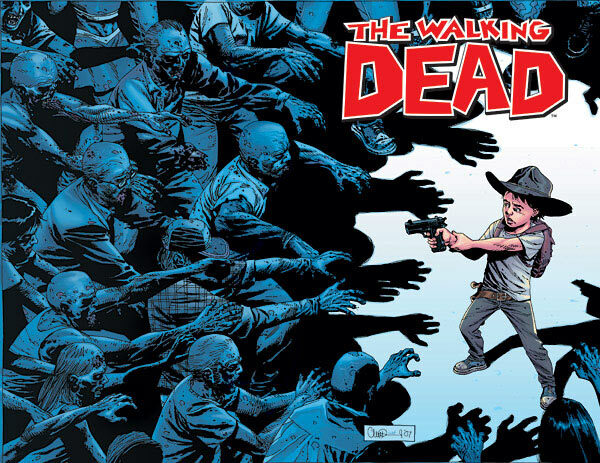 The demand for Walking Dead reprints has been growing since the TV series was announced and it will give all the new fans a great opportunity to jump on from the start and all the long time readers to pick up the issues they missed. January will kick off the reprint with the first four issues. Now reunited with his family, Rick Grime’s focus shifts from survival to protection. It’s one thing to know that you have to watch your back every second of every day. It’s another thing entirely to have to worry about losing your family in the blink of an eye.